The bridge was built in 21 sections that cantilever out over the waterway, each section is around 10m long. They are manufactured in carbon steel, coated for the marine environment and CE Marked under EN 1090 to Execution class 3. 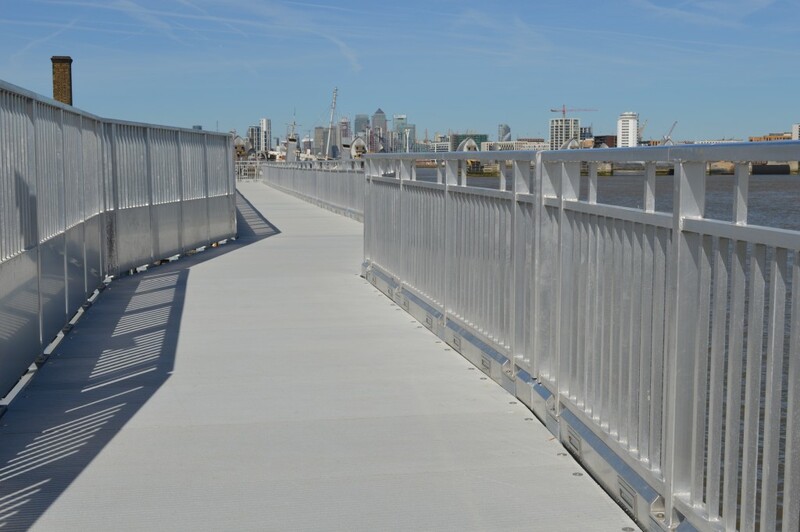 Each section has a GRP Deck and aluminium parapet handrail sized at 1400mm high for cycle usage. Each section was shipped into place overnight due to the wide load restrictions and then lifted into place during the working day making use of weekends for an accelerated installation programme. The sections were then joined with expansion gaps which allow for thermal movement before final fitting of the deck and low level LED lighting. 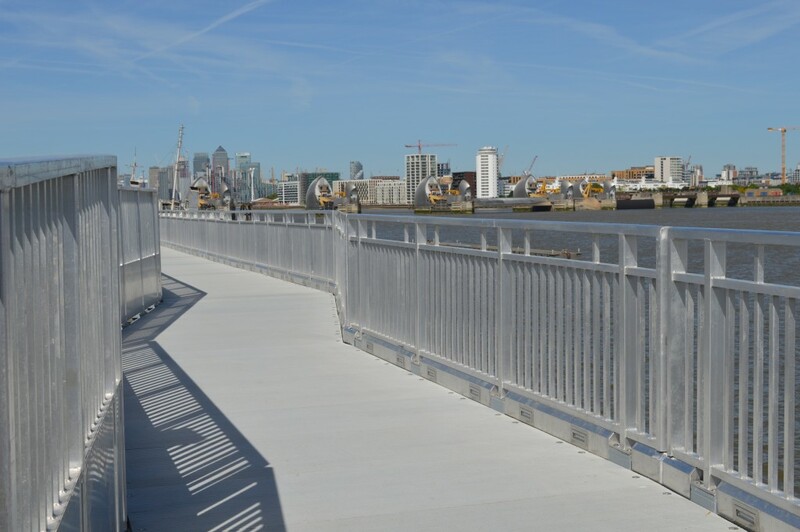 The bridge was formally opened on 21st June 2018. 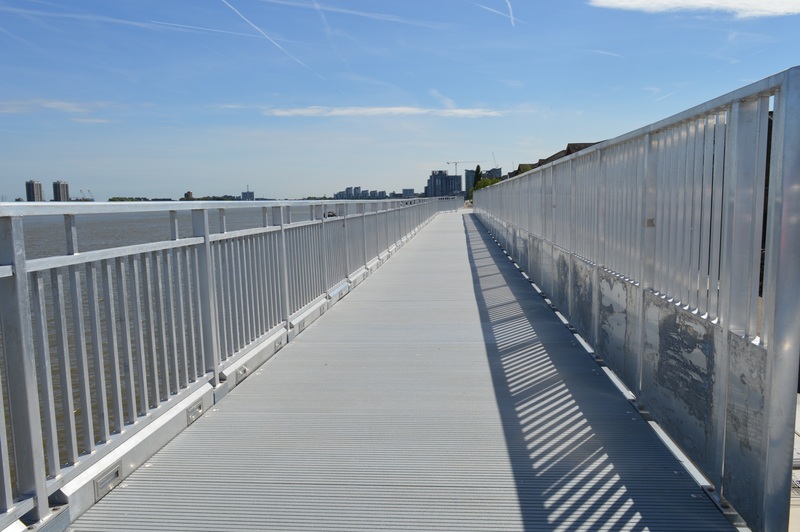 The new facility has been described as both ‘fantastic’ and ‘impressive’ by Sustrans, the walking and cycling charity.